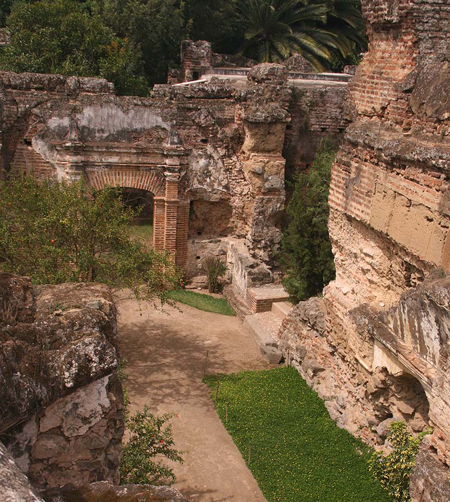 When in Antigua, Guatemala, be sure and visit the museums of Pre Columbian, glass & archaeological art all within the magnificent old convent grounds of Santo Domingo. Not only are the grounds beautiful, the ruins worth some time to photograph and the museums excellent, but you can actually stay there. The Hotel Casa Santo Domingo is a 129 room hotel located right on the grounds. The old Santo Domingo convent is located a short distance outside the city center of Antigua. 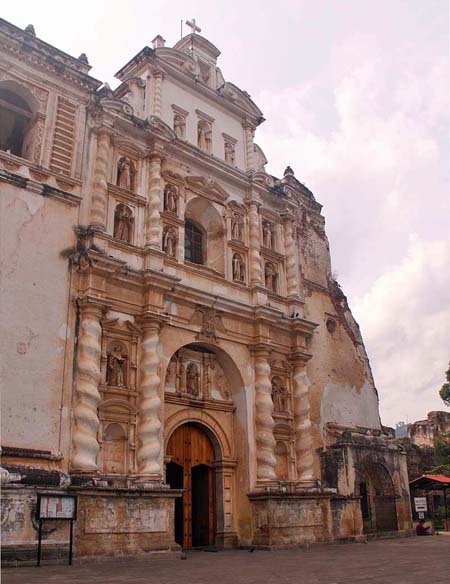 The church and convent were founded in 1542, and like many of the churches in Antigua have been damaged by earthquakes. Santo Domingo consisted of a very large convent and church. You can visit the grounds, museums and public spaces. The gardens are lovely. The property includes the scenic ruins of the monastery church where weddings now take place. 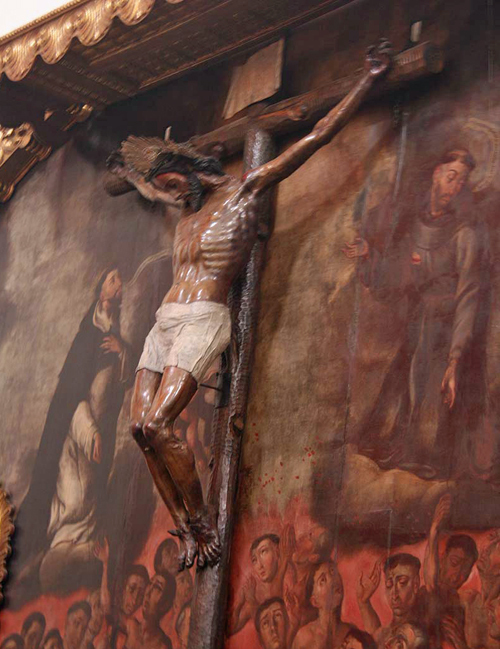 By the church, there are two crypts discovered in the 1990s – one, the Cripta del Calvario, boasts an intact mural of the Crucifixion; the other holds two graves with human bones. The Colonial Museum houses beautifully arranged and documented collections of colonial artifacts. From domestic sculptures to fine silver religious objects, the collection is worth visiting whether you stay at the hotel or not. Part of the collection is exhibited in the main corridors of the hotel and in its rooms. Another part of this collection can be seen in the Colonial Museum. The Colonial Museum was installed in a space outside the church that was used as a burial ground for children. There is a lovely fountain that was probably used as a watering place. 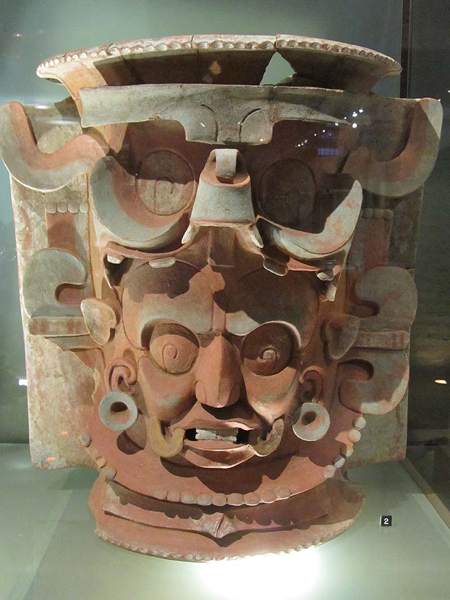 The Archaeological Museum houses a collection of more than 50 ceramic and stone objects, such as feminine figurines, glasses, plates, bowls, funerary urns, incense burners, hatchets and ceremonial yokes that mainly correspond to the Classical Period (200-900 AD), the high period of the Mayan Culture. The Pre–Columbian Art and Modern Glass Museum houses an interesting collection of historic and current art glass. You’ll find beautiful comparative displays enjoying the archaeological collection and one of modern glass, where the similarities between the two of them are shown. When we were there, the entrance fee was $6.00. The area was open 9 a.m. – 6 p.m Mon-Sat, 10:00 a.m. – 6:00 p.m. Sundays. There is a parking lot in front. Ruins of the Santo Domingo convent. This experience was part of a Guatemala tour organized by Joan Griffith of Wildwood Bake House in Austin, Texas and guided by area expert, Florencio Moreno. Find out more on the Authentic Presence website.